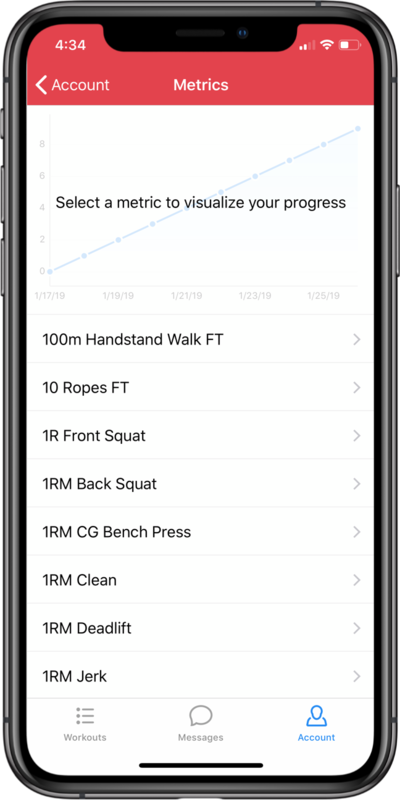 As a client, you can update your metrics from the Metrics page on both the web app and iOS app. 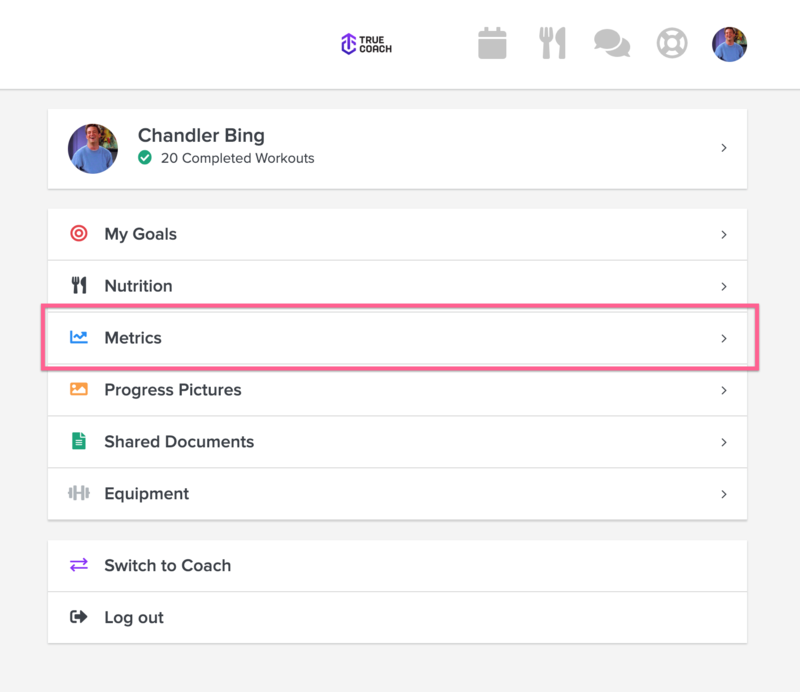 You can also update Metrics directly from a workout if your coach linked it. Once you've logged in on the iOS app, tap the account button in the bottom right corner. 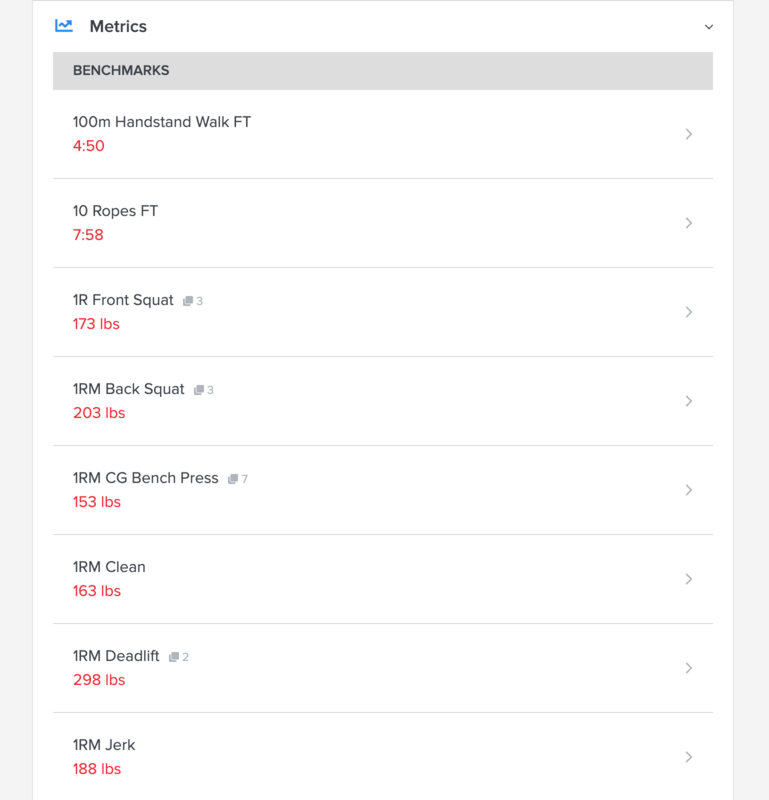 Then tap Metrics. If you're on the the web app, head to your account page by clicking on your profile photo. Then click Metrics. This will expand to show any metrics your coach has added. Choose the metric you'd like to update. 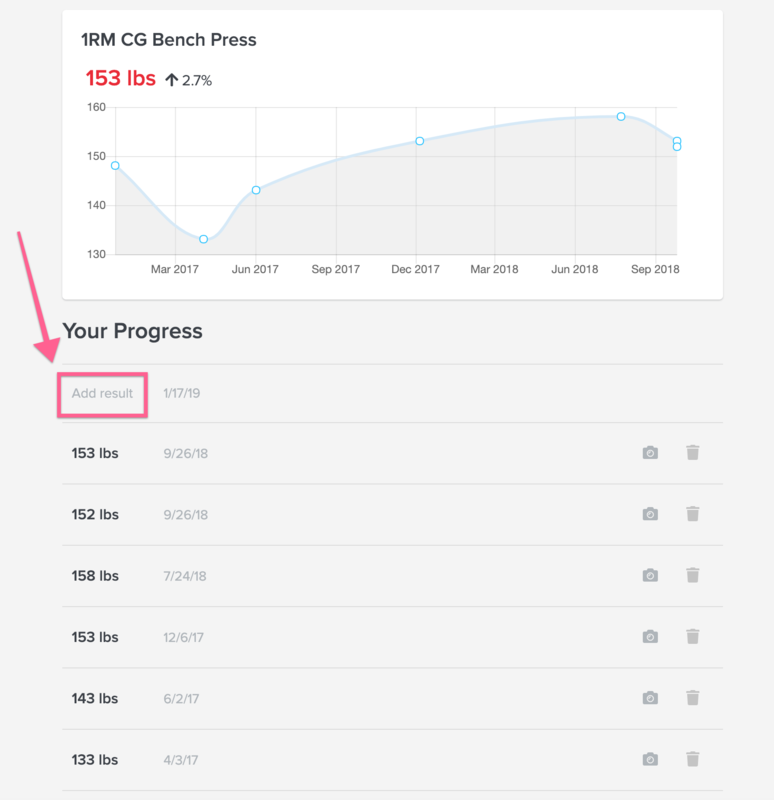 It will then take you to your progress page where you can add a new result. The graph represents all past entries updated by you AND/OR your coach. Choose "add result", type it in, and click save. Voila! the metric is updated. 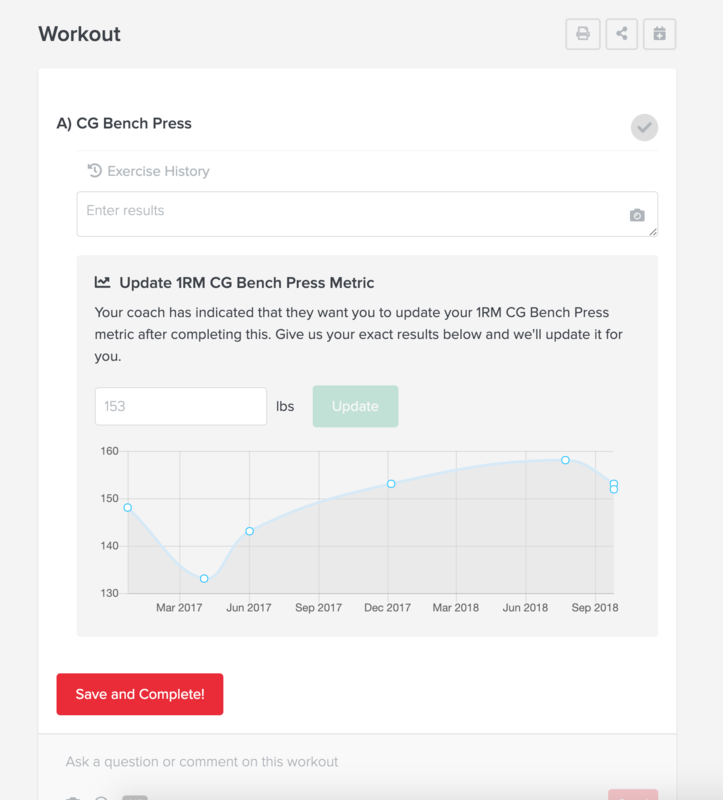 Click on the workout you want to update, and the metric will be there for you to add your result. Then click save and complete!